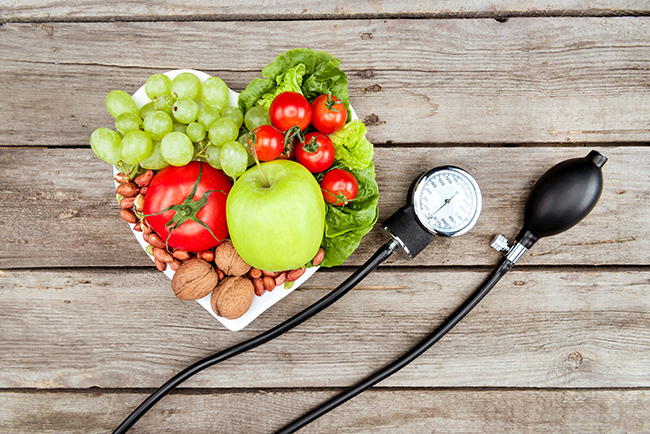 Alessandra Felice looks at how a plant-based diet helps blood pressure. Hypertension, or high blood pressure, is a common condition that many people deal with daily. It could develop as the result of an underlying condition, such as kidney disease, diabetes, insulin resistance, hormonal problems, impaired neural regulation, high catecholamines and cortisol, atherosclerosis or medications such as antidepressants, steroids and anti-inflammatory drugs. There are risk factors that could lead someone to develop hypertension, including genetic predisposition, age, obesity, lifestyle and dietary factors such as heavy alcohol consumption, smoking, lack of exercise, as well as long term high sodium in the diet and inadequate potassium, calcium or magnesium. When diagnosed, many people can be prescribed medications to manage hypertension, others will try dietary and lifestyle changes that can benefit their health and avoid taking medication or lowering their dose with time under medical supervision. First of all, it’s important to eliminate any present risk factor. Quit smoking; reduce alcohol and caffeine intake; lower sodium intake; as well as reducing refined sugar and carbohydrates consumption to avoid insulin spikes. Both diet and movement have such a beneficial effect on blood pressure management and can reduce the likelihood of getting to the point where medications are the only possible solution. If blood pressure tends to be on the higher end of the spectrum, exercise can help avoid developing hypertension. If you already have hypertension, regular physical activity can bring blood pressure down to safer levels. Regular exercise helps make the heart stronger and more efficient at pumping blood, which lowers the pressure in the arteries. Diet plays a huge role in managing high blood pressure. Increasing the proportion of plant foods consumed, like fruit and vegetables, has been shown to lower blood pressure, probably because of the high antioxidant concentrations. Hypertensive individuals have been shown to have increased oxidative stress and antioxidants have been shown to block angiotensin II (peptide hormone that promotes blood vessel constriction) and promote proper nitric oxide synthesis (compound that promotes dilation of blood vessels consequently lowering blood pressure). But there are a few specific foods that can be particularly beneficial too. Garlic can help reduce hypertension by increasing the amount of nitric oxide in the body. Nitric oxide helps promote vasodilation to reduce blood pressure. It has also been found to inhibit ACE (angiotensin converting enzyme) stopping angiotensin turning into its active form angiotensin II, the compound that promotes vasoconstriction. Garlic preparations providing a daily dose of at least 10mg allicin have been found to promote the lowering of blood pressure. To get enough allicin, we would need to eat 1-4 fresh garlic cloves a day. This may be difficult for some to manage though and that’s where supplements may be an easier choice. Calcium is important for healthy blood pressure, because it helps blood vessels tighten and relax when they need to. As this mineral is essential for numerous metabolic functions in the body, it’s really important to consume enough through your diet. So make sure to include sea vegetables, dark leafy greens, chia and sesame seeds, blackstrap molasses, almonds and beans daily into meals. We need magnesium to help blood vessels relax, for energy production, bone development, and transporting calcium and potassium. Plus, magnesium can inhibit the sympathetic nervous system which naturally increases blood pressure. The recommended supplementation is usually around 600mg, but again it should be done under professional supervision. As a preventative and health supportive measure, make sure to eat plenty of whole grains, legumes, nuts, seeds and dark leafy greens every day. Add greens to smoothies or lightly sauté them with spices and garlic. Start your day with a wholegrain porridge topped with seeds and nut butter or have a grain as a base for lunch and dinners. Experiment with beans and pulses, adding a portion to your meals daily. 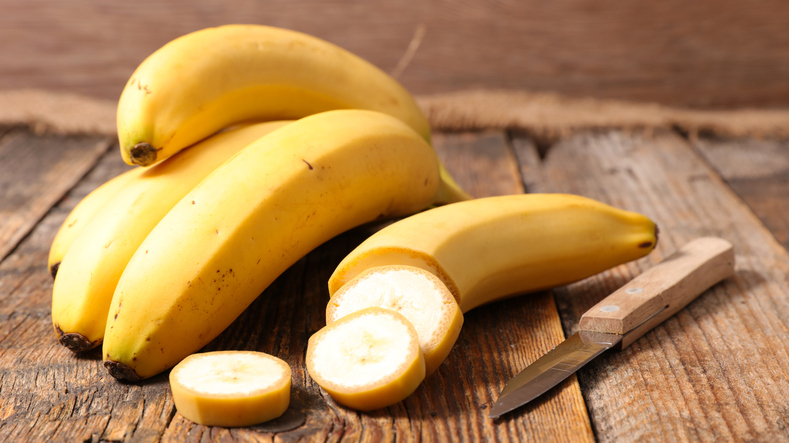 Normal levels of potassium are important for muscle function, but also to relax blood vessel walls, lowering blood pressure and protecting against muscle cramping. Potassium can lessen the effects of sodium and help maintain balance between these two essential minerals by increasing sodium output through urine when too much is obtained through diet. Foods rich in potassium are avocado, squash, spinach, sweet potatoes, banana, white beans and coconut water. Yes, cacao may become even more delicious knowing it could actually benefit your blood pressure regulation too. Polyphenols and flavanols in cacao have been linked with some reduction in blood pressure among people with hypertension or pre-hypertension, and they could promote the formation of nitric oxide, widening blood vessels and easing blood flow. Plus, it’s a great source of magnesium, which as we’ve seen is extremely important for blood pressure regulation. 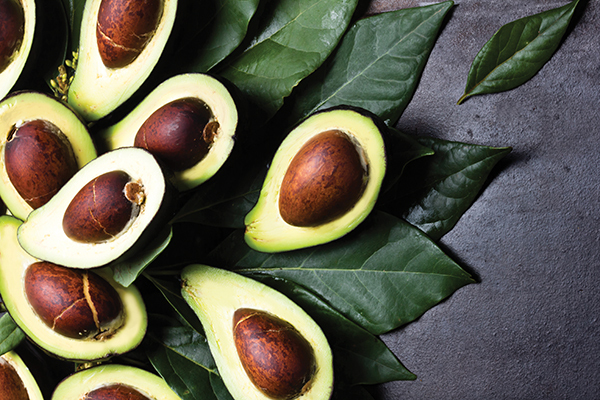 Plant sources of omega-3s essential fatty acids like chia, hemp, flaxseeds or walnuts, but also the important fats contained in avocado and olives, have been associated with a reduction in blood pressure. As it may be difficult to convert fatty acids from plant sources into active DHA and EPA forms, it may be worth looking into an algae-based supplement. 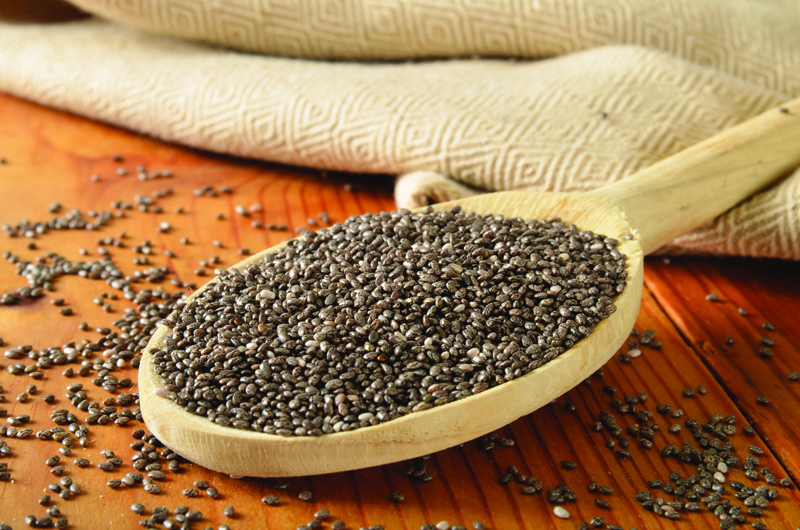 In general, try to sprinkle hemp or flax seeds on your favourite salads, soups or porridge and experiment with making your own chia puddings, maybe adding some cacao and berries to make it even more nutritious. Nuts, especially pistachios, seem to decrease blood pressure by reducing blood vessel tightening and heart rate. They may also help manage cholesterol levels, which is another essential aspect of cardiovascular health. And in today’s world where nut butters are everywhere and there are so many varieties available, you should have no problems including them in your diet. It should come as no surprise that whole grains, such as oats, rice, quinoa, being an important source of soluble fibre, are linked to a reduction in blood pressure, cholesterol management and also blood sugar balancing. Try to pick different ones in your meals, use oats, rice but also amaranth, quinoa, barley, rye, buckwheat (not technically a grain, but still rich fibre), millet and add them to soups, salads, homemade veggie burgers or use their flours for savoury and sweet pancakes. 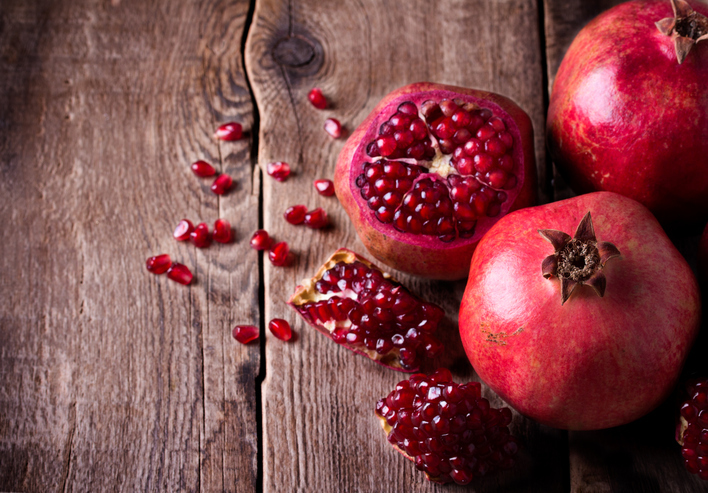 The potassium and polyphenols in this fruit may be the compounds that make it helpful in reducing high blood pressure levels. Drink it as a juice, having about a cup every day or enjoy its colourful seeds that give such a great colour to any dish and add a tangy flavour. All berries contain anthocyanins, which are flavonoid pigments that give them their colour, but have also been shown to reduce the risk of cardiovascular disease and reduce high blood pressure by promoting the release of nitric oxide. Late spring and summer are the best time to enjoy fresh berries. Beetroot has been known to increase nitric oxide levels, as it contains high levels of dietary nitrate that the body converts into biologically active nitric oxide. You can juice beets, eat the whole root raw, maybe shaved into salads or cook them. Really good baked into chips or added to stir-fries and stews. A few supplements found useful in the management of blood pressure that you could enquire about with a medical professional are aged garlic extract, vitamin C (antioxidant, modulates nitric oxide synthesis), arginine (amino acid that stimulates nitric oxide production), Co Q10 (significantly decreases blood pressure and oxidative stress) and omega-3s (decreases oxidative stress and inflammation and promotes vasodilation). 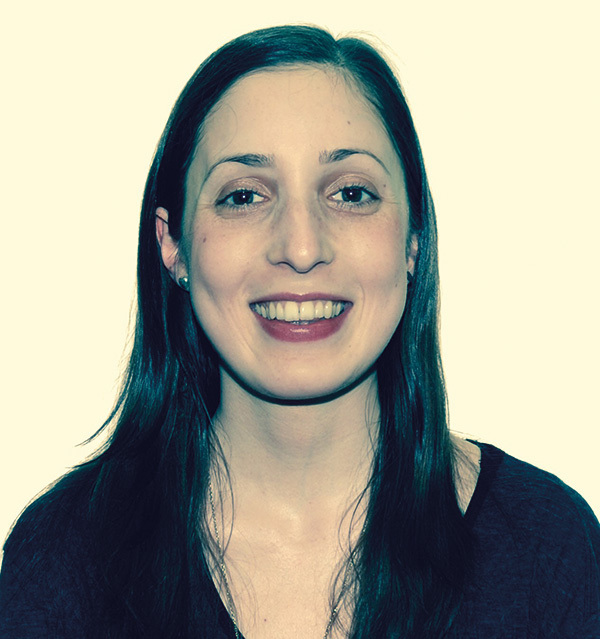 Alessandra is a nutritional therapist and medicinal chef, who trained with the Natural Gourmet Institute for Health and Culinary Arts, New York and the College of Naturopathic Medicine, London.